Windsor is getting lit this weekend! The Bright Lights Festival kicks off this weekend at Jackson Park and we’ve put together a list of what you can eat and drink while taking in the lights and sights. The WindsorEats Traveller will be on site selling Wagner Orchards cider. We’ve spiced it up (with spices….not alcohol) and will be serving it warm. We’ll also have coffee for those that need their caffeine. The Road Chef food truck will be on site serving some treats that both kids and adults will love. They’re making something new: Frosty Logs! These treats are warm cinnamon and dark brown sugar donuts that will go perfectly with the warm cider. Here are a few of the other treats they’ll be serving. The Essex Care for Kids Foundation will be selling hot chocolate. All proceeds will be going to the foundation. The event kicks off this Friday and Saturday from 6:30p.m. to 10 p.m. and will run every Thursday to Saturday until January 6, 2018. There’ll be live entertainment, horse and carriage rides and lots and lots of lights. 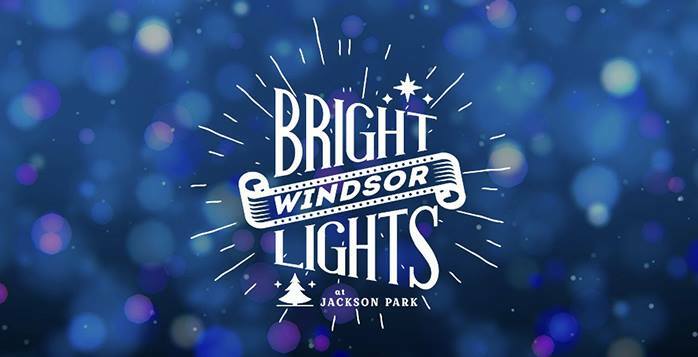 You can see the full schedule of events at Bright Lights Windsor.